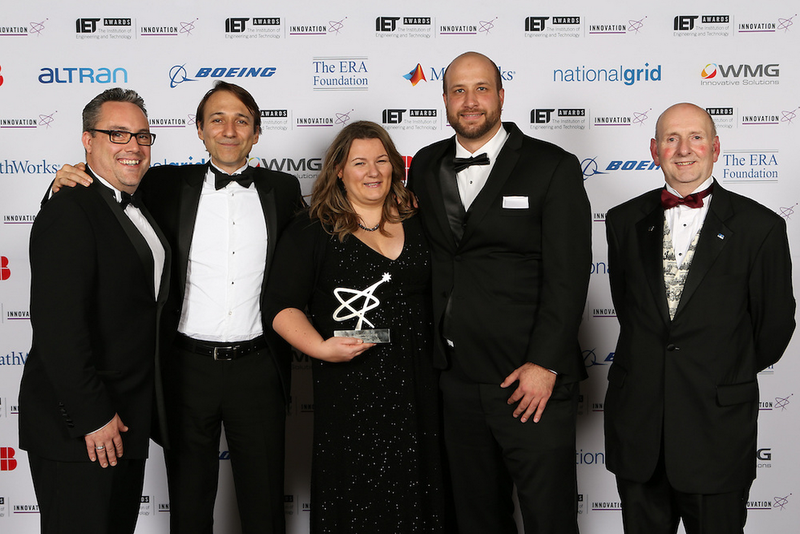 NATS and Lockheed Martin jointly scooped the prize for best transport innovation at the IET’s annual awards last night. The accolade was in recognition of ‘Time Based Separation’, an aviation world-first introduced in March to cut delays at Heathrow. During strong headwind conditions, aircraft fly more slowly over the ground resulting in extra time between arrivals and delays for passengers. Time Based Separation, developed by NATS and Lockheed Martin with support from Heathrow and British Airways, uses live wind data to dynamically calculate the optimal safe spacing between aircraft in order to maintain the landing rate. Members of the NATS and Lockheed Martin Time Based Separation team.